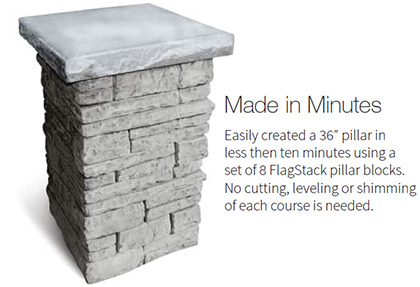 The Flagstack® Pillar Kit allows you to quickly and easily build spectacular pillars in a a fraction of the time. 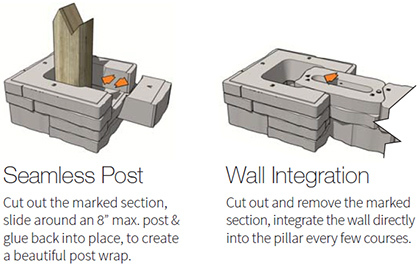 Effortlessly wrap fence and pergola posts, or integrate walls with minimal custs. 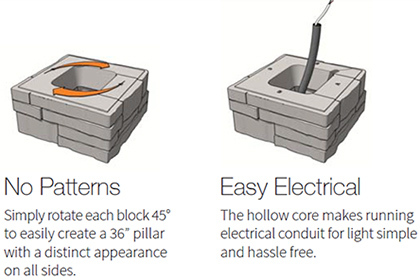 The easy to use design allows you to create a perfect pillar every time without the need to level and shim courses.